Every contact between a resident and a carer that engages attention and gives pleasure is precious and important and with this in mind we try to make the most of all the ordinary day-to-day activities Each small task provides an opportunity for a resident to notice, to enjoy, to make a choice, to respond in whatever way they can. For carers who know someone well it need not matter if they can no longer speak, as other ways of communicating become more apparent instead. There are also more structured activities, and the most rewarding of these is music therapy. 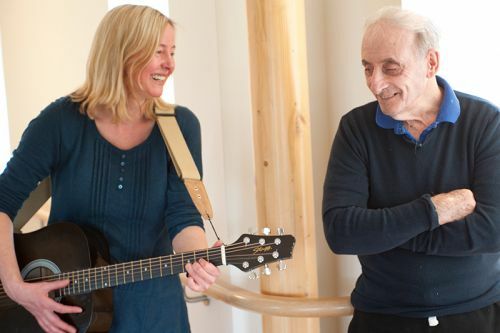 Receptiveness to music, the ability to listen and to react to it, are preserved astonishingly well in dementia, long after other abilities have faded. 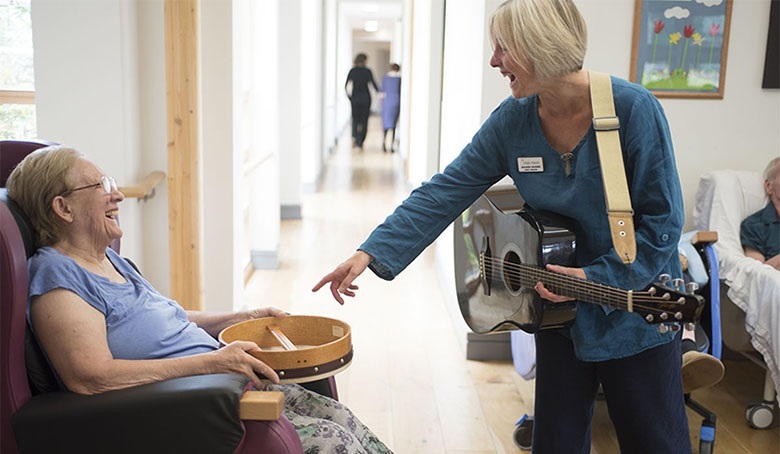 Sharon Warnes is a music therapist and has been coming to Vale House twice a week for the last five years. 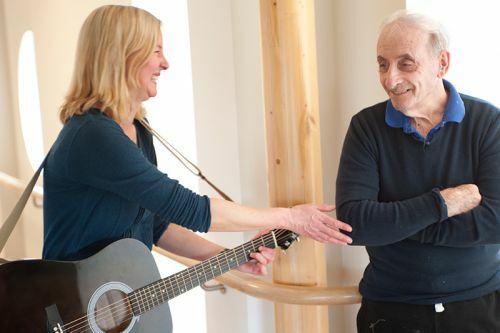 During the morning Sharon visits residents in their rooms and if they would like to take part (it is always their choice), she will sing to them or play the violin. She takes time to get to know residents and their families, seeking out their favourite songs and types of music. She sees 27 – 30 individual residents on a regular basis. Sharon’s group sessions take place after lunch in the garden room – a more open area where residents can come and go as they please, and where families and carers may join in if they wish.